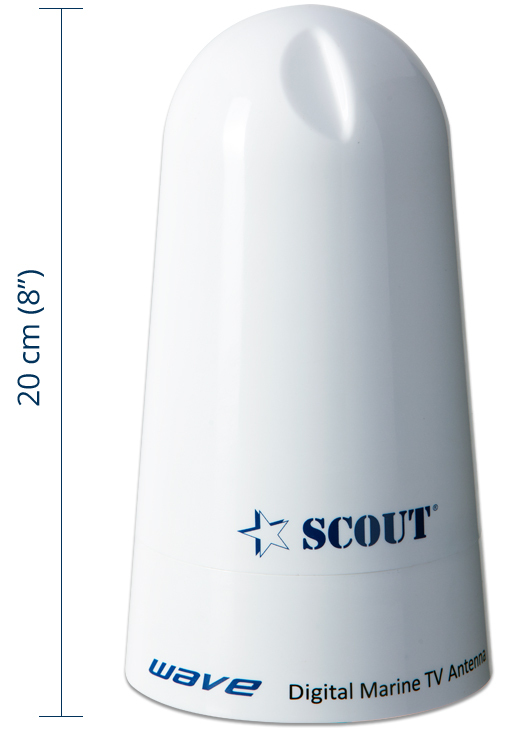 The new Scout Wave is a compact-sized omnidirectional TV/FM antenna of only 105 mm (4″) diameter and 200 mm (8″) height, designed to receive all available analogue and digital terrestrial TV, FM signals through 360 degree radius, ideal for any type of boat. Omnidirectional design eliminates the time needed to locate the direction of the TV and radio transmitter, and the built-in high gain amplifier (25 dB) with low noise figure guarantees an excellent picture quality, both on horizontal and in vertical polarization. The splitter/power inserter included with the antenna allows to connect two devices at the same time, TV or radio FM. 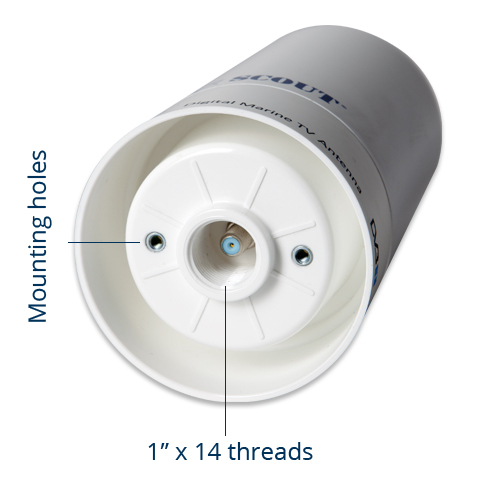 The waterproof casing is UV-inhibited, to avoid color deterioration, and easy to install both on standard 1″ x 14 threaded mounts and on deck as a permanent, through-hole mount solution (onto a non-metal surface or enclosure). 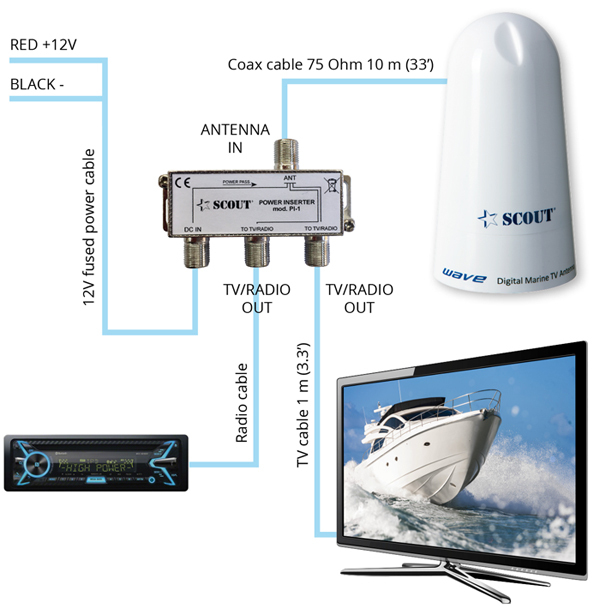 Wiring of the whole system is easy and fast, and thanks to the 2 output power inserter you can connect TV and FM radio to the same antenna. 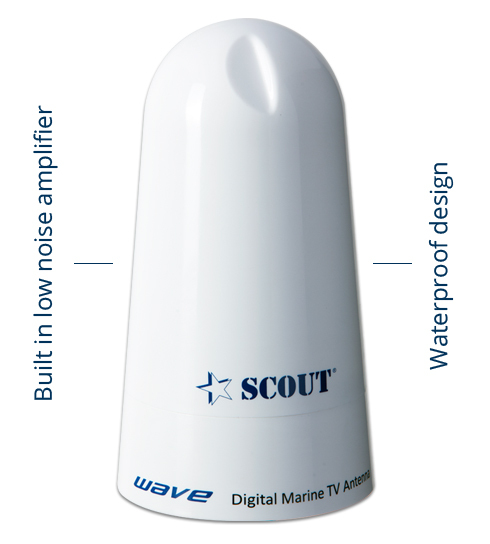 The exclusive design, the compact size of only 11 cm diameter and the superior picture quality make the Wave the perfect choice for boaters who want to enjoy premium TV and radio on board.